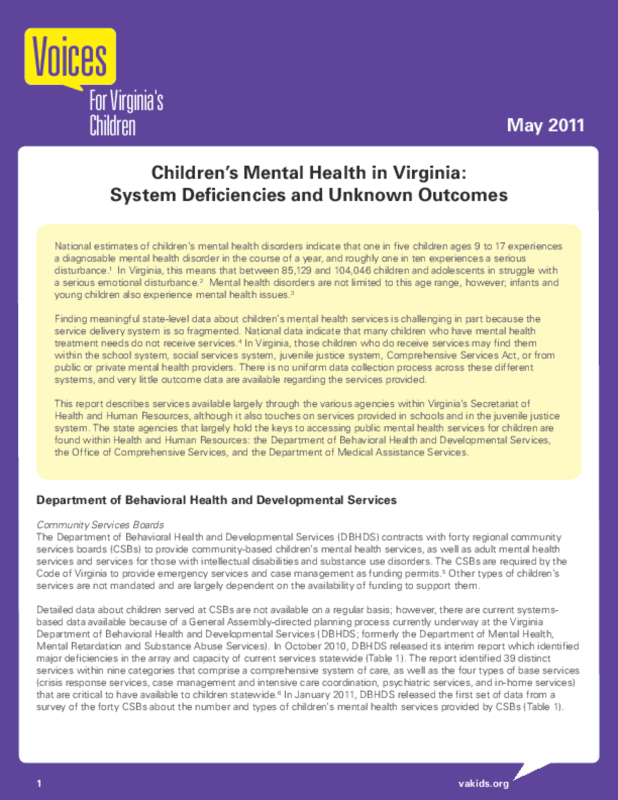 Examines the demand for community-based children's mental health care, the availability of various services in the state, and the need for uniform, accurate data collection across state agencies. Outlines implications. Copyright 2011 Voices for Virginia's Children.